Here is what to tell parents, to tell students, maybe to tell yourself: It takes 21 days to form a habit. 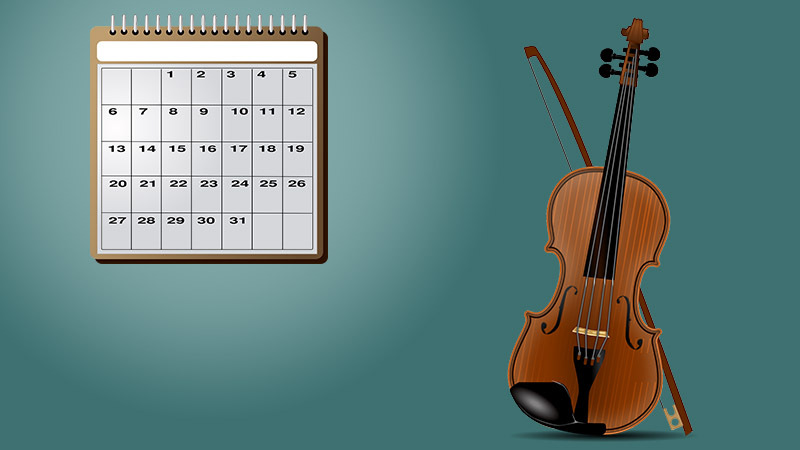 You must practice 21 days in a row; if you skip a day, you must start again from one. For the first 21 days, it is possible that you will meet with resistance. Just work through that, and keep doing it anyway. It helps to find a time during the day that works, and try to keep consistent with that time. But even if the time varies, don't fail to do it every day for those 21 days. The resistance will be very low, and in fact you'll all feel more upset about not practicing than about practicing. Once you create the practice habit, then feed the addiction. It just builds on itself. Practicing causes you to get really good at playing the violin. Then, all you want to do is practice. March 5, 2006 at 07:57 AM · My teacher has a program like that except it is called the "100 Day Club." You practice for 100 days in a row and then you get an award in front of the entire violin program (at a performance or something) and a mini composer bust of your choice. When I was little, I loved being in the "100 Day Club." March 5, 2006 at 07:49 PM · I might start my own, and call it the ten year club - I practice every year without fail! March 5, 2006 at 08:07 PM · Addiction is right. March 5, 2006 at 10:34 PM · I like that, the Century Club! I need to start an awards program for this. Wow, ten years is awesome! March 6, 2006 at 03:03 PM · Thank you for posting this... it's a little added encouragement that I needed right now! March 6, 2006 at 04:42 PM · This is a great idea. I worked with a "motivator" at a conference who told us that it takes 90 days to make or break a habit. I think this is good news, that it might only take 21.